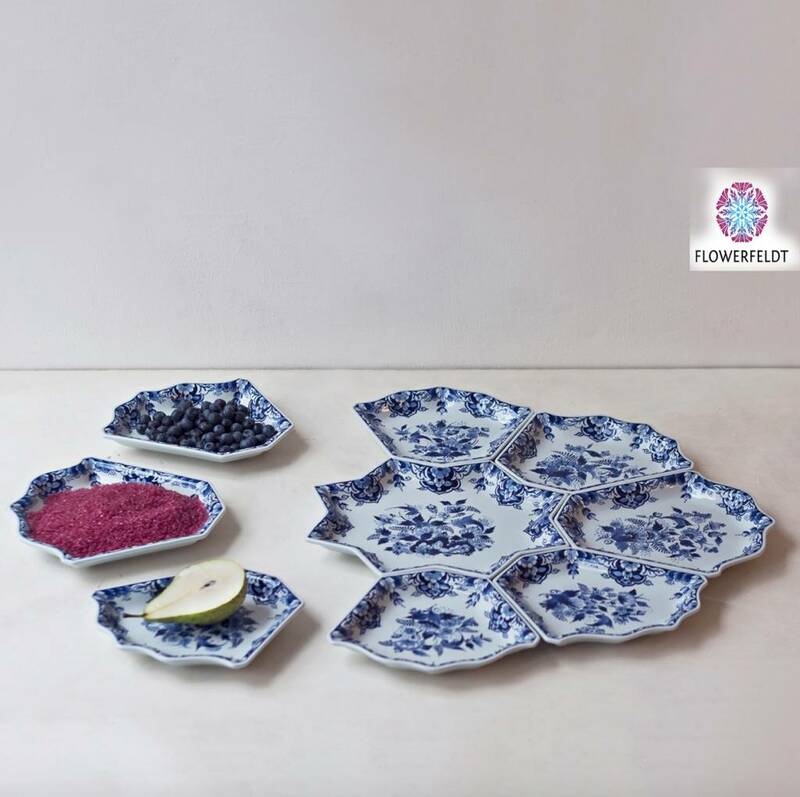 Delft blue dish set with royal touch! A porcelain dish set with royal touch! Nine-piece dish set in Delft blue. 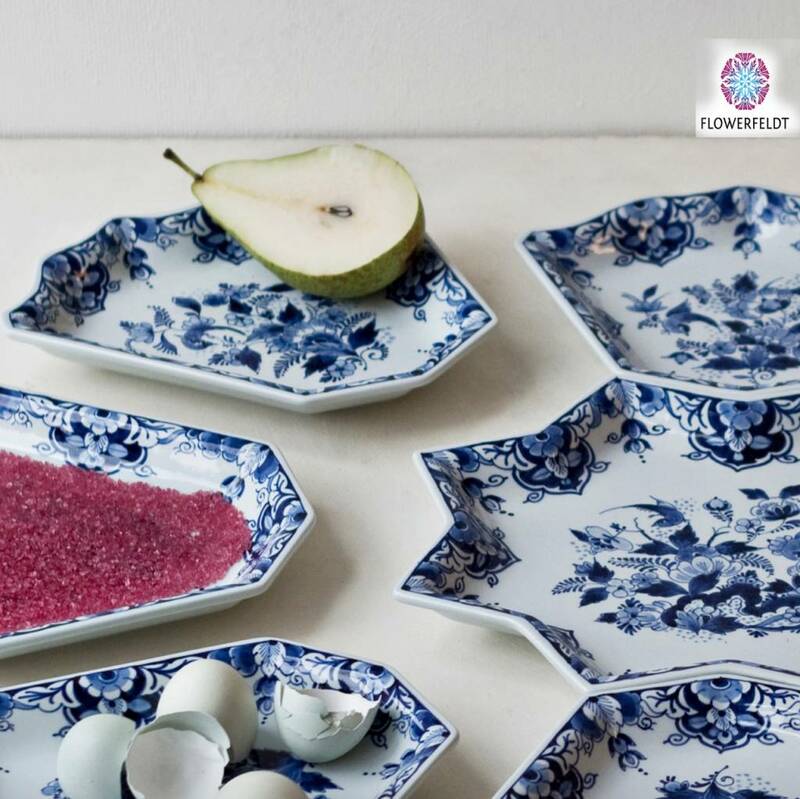 The Delft blue dishes forms together a Lotus flower. 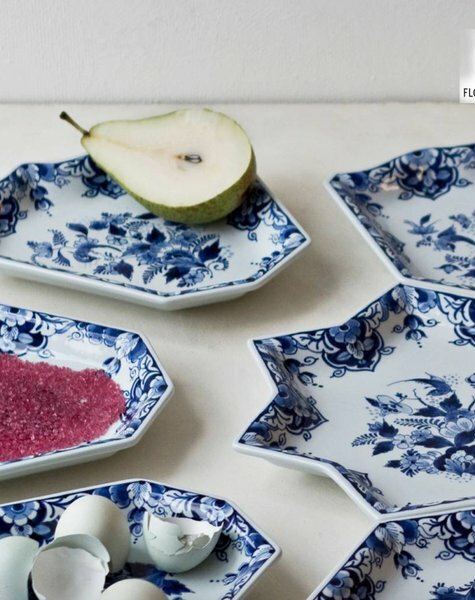 The history of this hand painted delft blue set goes back to 1700. These porcelain dishes were used for the presentation of candied fruit. The making of this delicacy was only reserved for 'the rich and famous' of that time. A pastime for well-to-do women and princesses! 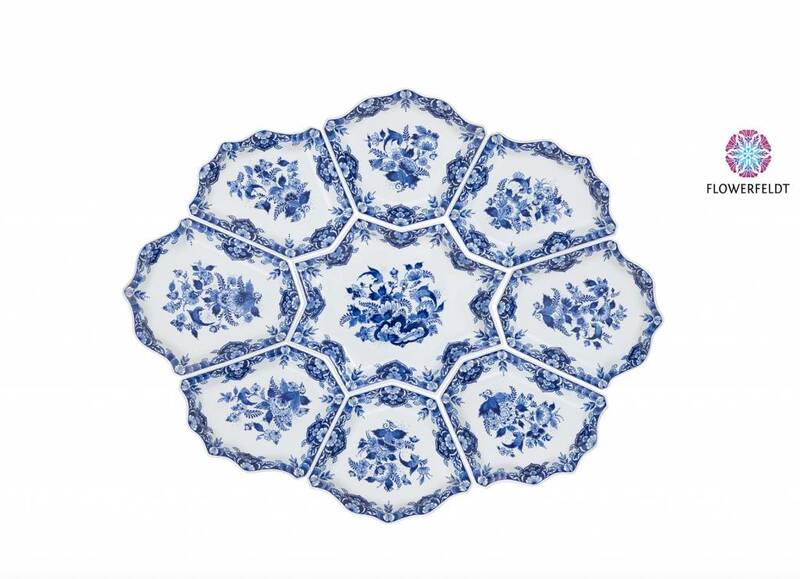 The Dutch Royal Family even had hundreds of these porcelain dishes in their possession.